FOREIGN CITIES | THE NOT DEAD YET GENERATION! While NDY is writing this travelogue for Istanbul, there are reports of violent protests throughout Turkey and video of troubling demonstrations in Taksim Square. It all seems unreal, yet so understandable after meeting folks in Istanbul. Turkey is emerging with a cultural and economic renaissance reminiscent of Berlin when the wall came down. Young artists, designers, playwrights, musicians are casting aside years of doubt and fear. Islam may be accepted as the predominant religion, but the rigid doctrine and myopia endorsed by fundamentalist Islam clashes with their artistic fervor. Capitalism is also flourishing while the standard of living grows exponentially. The current Prime Minister, a strict and devout Muslim, feels secure enough to clamp down on some of this freedom of expression and the sense that trouble lay ahead was obvious. That this avid discontent with the government was motivated and ignited by industrial development is ironic since building and construction remains a hallmark of modern Istanbul. NDY cannot imagine that the current turmoil will continue. There is too much at stake and Turkey will not regress. Islam coexists with modernism in Turkey by having a kinder and gentler soul. It is the way of the future. Istanbul is a fascinating destination and reminds the Not Dead Yet Generation™ of Berlin a few years after the wall came down. The city is evolving as we speak, emerging as a trendy, world-class urbane metropolis with cool restaurants, hip art galleries and a provocative fashion scene showcasing young designers using ancestral Ottoman textiles. There is a certain naiveté about the place that is charming and fresh, without the smug attitude of a Paris or a San Francisco. Five times a day, the Muslim call to prayer is reverberates over the rooftops as a reminder that in spite of the many cosmopolitan aspects of this city, it has a pious Islāmic population with a fundamentalist prime minister in conflict with the modernism ignited by Ataturk almost a century ago. It is fascinating to see women dressed in full Burka standing next to a hipster in miniskirt, tights and leather boots gabbing on her cell phone. This dichotomy is apparent in almost everything that assaults the traveler in Istanbul. A visitor may attend a concert of traditional Turkish folk music evoking images of Arab sheiks, the desert, and Omar Sharif and then proceed upstairs in the same building where a Turkish rock band would rock out à la AC-DC. It is cultural schizophrenia at its best! NDY’s favorite part of the city is a charming and intimate neighborhood called Cihangir, referred to as “the Greenwich Village” of Istanbul. While certainly this is a stretch, Cihangir is a community of artists, musicians, writers, with a large gay population. But in contrast to the Village, the creative souls interact with the older residents of Cihangir as much hugging, cheek kissing, and back slapping between the old and young take place. The neighborhood has long, hilly streets that curve and meander with no rhyme or reason. Occasionally, a glimpse of the Bosporus comes into view crisscrossed by a minaret or two. It is unbelievably beautiful at night when all the mosques, towers, bridges etc. are illuminated. It is literally breathtaking. Istanbul or Constantinople has always been one of the great cities of the world. It’s reputation and power has either been enhanced or detracted by the fickle winds of both history and pop culture. The movie, “Midnight Express” did not do Turkey or Istanbul any favors. Istanbul is ablaze with an energy that may only come around once in a couple hundred years. Go now, before this city realizes how cool it is. The Not Dead Yet Generation™ will not recommend just “any” accommodation. While there are many hotels in Istanbul that will provide comfort and safety, a NDY™ recommendation must have that special NDY Generation™ panache. It will have our “something!” The Hilton in Sisli, both Four Seasons, the W Hotel, and the Kempinski managed Ciragan Palace Hotel in Besiktas, will provide wonderful accommodation, but they do not have that NDY™ uniqueness. This would be NDY’s™ first choice as the optimum neighborhood to stay in. 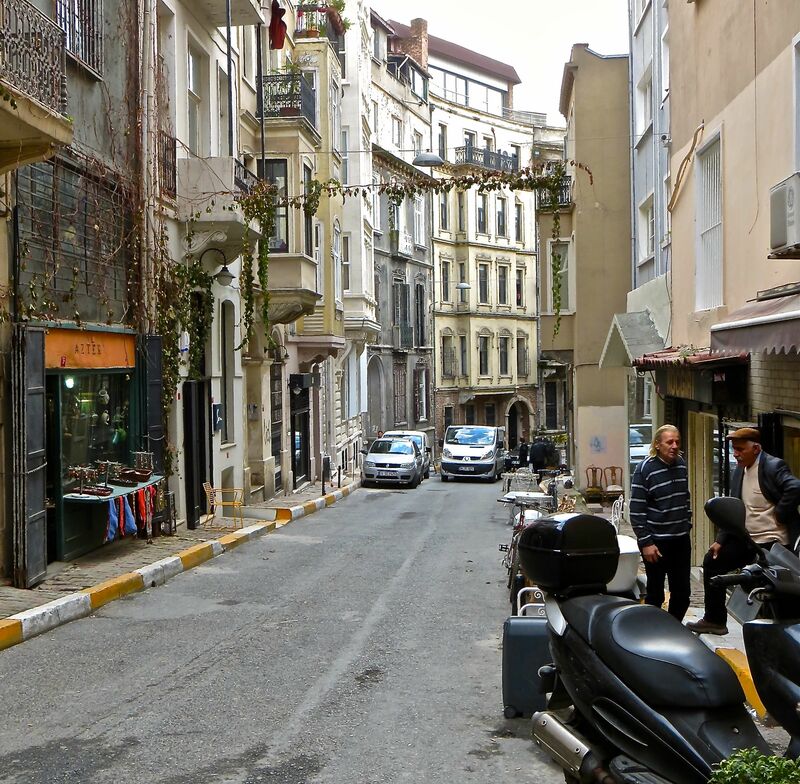 The entire city is available by public transport, yet Cihangir allows you to feel part of a thriving, closely knit neighborhood while clandestinely removing the cloak of tourism for a glimpse into Istanbul reality. The Not Dead Yet Generation™ understands this can be rather confusing, but we will try to explain. Consider this neighborhood description as Istanbul’s Midtown. 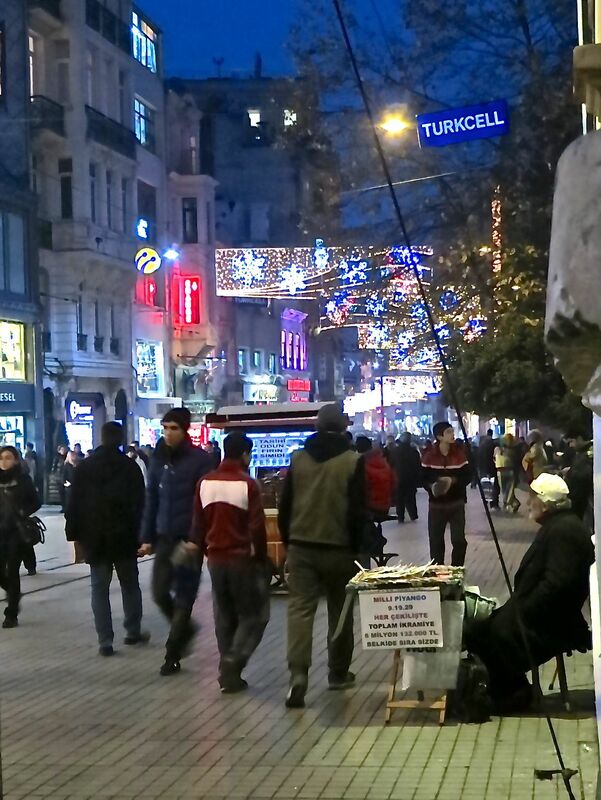 ISTIKLAL CADESSI, the pedestrian avenue, anchors and bisects the entire area, with distinct neighborhoods on all sides of Istiklal. At the very top of Istiklal is TAKSIM SQUARE, a fairly tacky, but happening place, where both political and skate board demonstrations take place. It is Istanbul’s Times Square or Trafalgar Square, depending on your orientation, and not recommended by NDY™ for accommodation because it’s kind of seedy. At the bottom of Istiklal is the GALATA TOWER, thus anchoring the neighborhood of Galata, a wonderful area to stay, with upscale boutiques, lounges and hotels. A couple hundred yards up from Galata is the area called Tunel, the bustling location of the TUNEL, a nineteenth century underground funicular connecting folks to Karakoy at the bottom of the hill. The area on both sides of Istiklal Cadessi, between Galata and Taksim, the Not Dead Yet Generation™ will call Beyoglu, which changes complexion block to block, thus making it difficult to categorize. 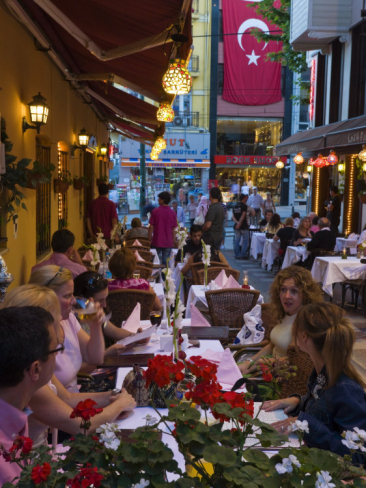 Beyoglu is also used as a generic term for anything in, about and around Istiklal Cadessi. To add to the confusion, steep hills meander around buildings, parks and monuments, diffusing boundaries and creating both feelings of “déjà vu” and disorientation. Istanbul is changing so fast, that neighborhood identities emerge before maps and tourist guides can identify them. It is all very charming and is the enigma called Istanbul. NDY™ calls this “tourist central” and although Sultanahmet is not The Not Dead Yet Generation’s™ first choice for an area to stay in, if you want to be close to sightseeing, visitor oriented restaurants and shops and the famous markets and bazaars, this is your choice. Hagia Sophia, the Blue Mosque, the Grand Bazaar, and Topkapi are all within sniffing distance. This is another of those emerging Istanbul neighborhoods that unfortunately for tourists has several names. Cukurcuma, or Galatasaray, is part of Beyoglu and often is called Cihangir. NDY™ is referring to an area between the heart of Cihangir and Istiklal Cadessi that charms and beguiles at every turn. The serpentine up and down hills of CG (Cukurcuma-Galatasaray) are lined with minuscule, dusty antique shops adjacent to trendy design stores that echo what the publications “Wallpaper” and “Dwell” would call “so today.” Certainly, CG is another reminder that nothing follows form or is obvious in this city. NDY™ is enamored with CG and envisions this neighborhood replacing Cihangir as the expat, hip place to be in Istanbul. Besiktas is one of those neighborhoods that pulls NDY™ in two different directions. On the one hand, Besiktas can be elegant and sophisticated. On the other hand, Besiktas can reflect a cookie-cutter attitude and a Disneyesque concept of urban form. Let it suffice to say, if you are a fan of Las Vegas, you will enjoy staying in Besiktas. North of the prime tourist sights and entertainment districts, Besiktas and especially Ortakoy, have created an identity all its own with the young and trendy flocking to sushi restaurants, velvet rope clubs, and cocktail bars. Perhaps Besiktas and Ortakoy lack Turkish authenticity, but if you care more about slick and cool, this is your place. If Nisantasi was closer to Beyoglu and Sultanahmet, NDY™ would be more excited about this area. 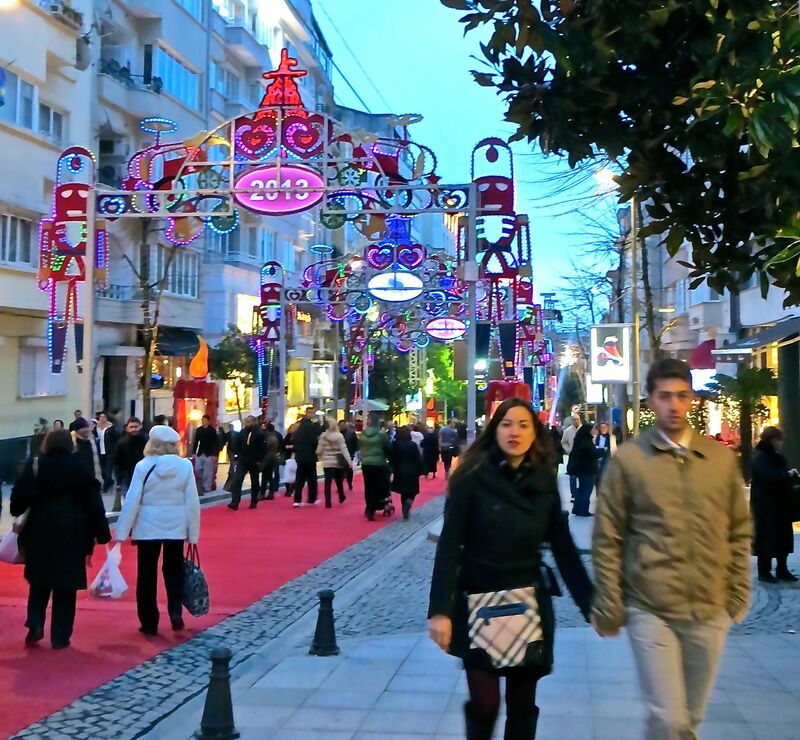 Nisantasi is Istanbul’s prime upscale shopping location, with not only Gucci and Pucci, but also with boutiques showcasing Turkish designers that are doing amazing things with indigenous fabrics. The beautiful people of this neighborhood look good, smell good and demand the best from their local cafes, restaurants and lounges. 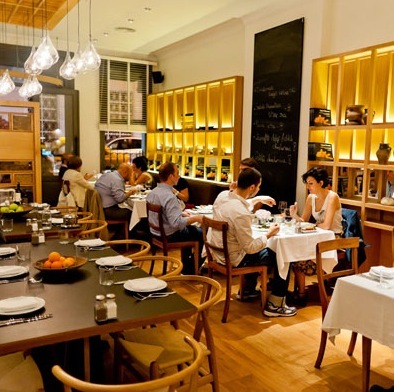 Far from cheap, Nisantasi suffers from a need to be too Euro and not enough Turk. Yet, class and sophistication gushes from this area. Tourists are 30 minutes from Sultanahmet by public transportation, which is too long by the Not Dead Yet Generation’s™ standards. However, if this is your third or fourth visit to Istanbul, Nisantasi may just be a perfect place to rest your head. CAVEAT: Istanbul is a city of hills, à la San Francisco. Most of the hotels in Beyoglu will involve walking up and down circuitous elevations. If this will cause you duress, check with your choice of hotel and ask whether ingress or egress will involve mountain climbing. 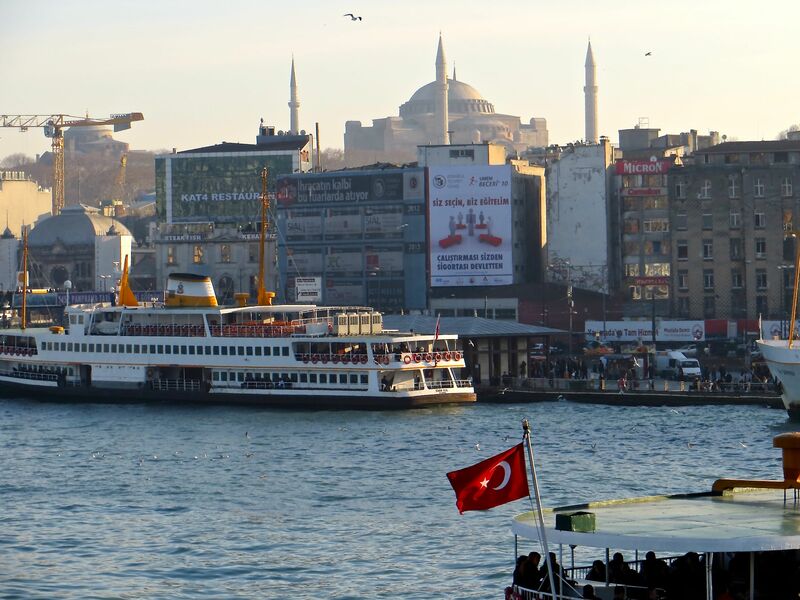 CAVEAT: Istanbul is a growing and developing urban metropolis. Construction is ubiquitous. Hotels cannot control the building going on. If this is a concern for you, ask the hotel about construction before you make a reservation. The Witt is a smashingly designed boutique hotel in a neighborhood often called Istanbul’s Greenwich Village, but Cihangir could also recalls travelers to a Bohemian Left Bank, an earthy Venice Beach, and when Rome’s Trastevere was unspoiled. Cihangir reminds the Not Dead Yet Generation™ of Brooklyn ten years ago with its hip cafes, funky antique shops, and trendy boutiques standing next to shops and businesses that have been at their location for a hundred years. It’s authenticity with a shot of modern cool. Unfortunately, today parts of Brooklyn are losing this authenticity, but Cihangir is hanging on. NDY™ would prefer not staying in any other Istanbul location, but unfortunately, hotels are at a minimum, so book early. Although having less than 20 suites, the Witt provides all the necessary amenities with a splash of panache. Every room is large, with a modern galley kitchen complete with microwave, electric burners, refrigerator and marble sink and counters. The kitchen arrangement was indispensable for enjoying the many leftovers carted back from all the tasty dining experiences. The wood flooring was covered with plush rugs and all the furniture and lighting were designed by “Autoban,” the same renown architectural firm who designed the building. Countless thick towels help dry you off after luxuriating in the commodious shower. Breakfast was too filling with eggs, breads, fruits, cereals all available to be served in your room or downstairs in the hotel’s dining room. NDY™ attacked the kind staff continuously with questions and queries that ran the gamut from necessary to the weirdly obscure. Everyone handled this barrage with graciousness and good humor. 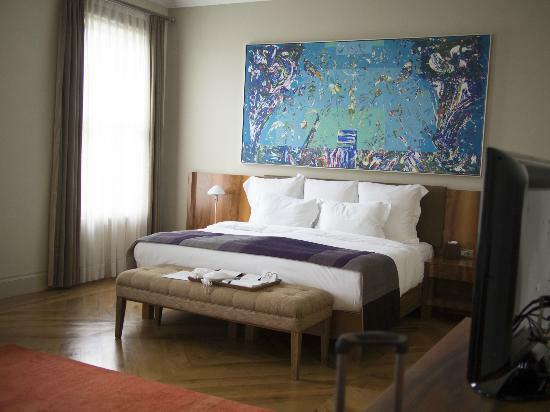 The Witt Istanbul Suites is the perfect accommodation and receives the Not Dead Yet Generation’s™ recommendation. Posing as the main boutique hotel rival to the Witt, the Tomtom Suites situates itself at the top of one of Galata’s winding hills within shouting distance of the old Italian embassy. 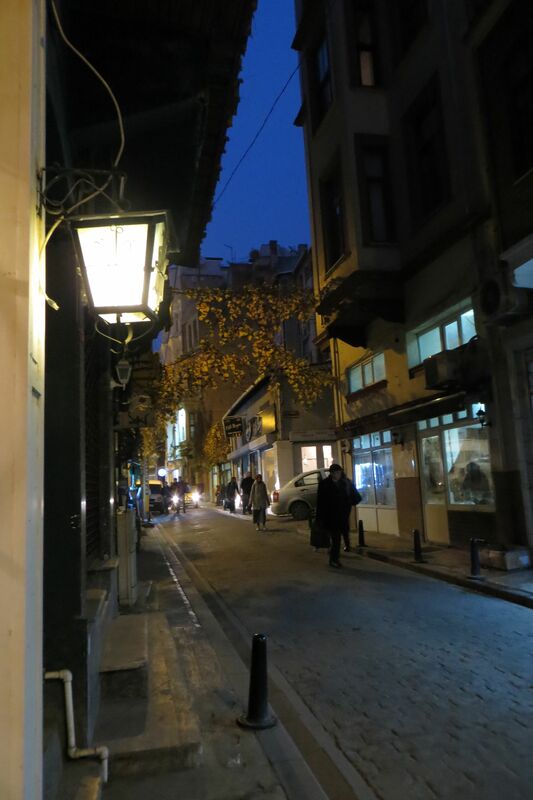 It is a quiet street, but near the action of Beyoglu. The twenty suites are all spacious with trendy marble bathrooms taking center stage. Having a modern decor a bit less “au courant” then the Witt, Tomtom comes across as larger and less personal, but that was just NDY’s™ faint impression. Certainly, our dealings with Nural at the front desk were always warm and welcoming. The Not Dead Yet Generation™ did miss the Witt’s in room kitchenette as the Tomtom’s suites lacked cooking facilities. The charming rooftop café certainly helped make up for this absence, and NDY™ loved the views. The Tomtom Suites is a wonderful accommodation and NDY™ is pleased to give it our recommendation. This House Hotel has some issues, but NDY™ loves the Cukurcuma neighborhood and thus the House Hotel Galatasaray makes this list. Opened by the same folks who own the well-known House Cafes, the hotel was designed by Autoban, Istanbul’s go to source for architectural cool. Unfortunately, their cool design did not call for elevators, so be prepared to get in shape without a gym. The twenty crisp white rooms are almost austere in nature, but their minimalist style is oh so au courant. The design also called for the shower pod to sit in the middle of the room. At least you can pull the circular curtain to get privacy. Why anyone would want to shower in the middle of a bedroom is beyond NDY™. Common sense would dictate that showers, sinks, tubs, and toilets kind of go together. This new affectation to expose bathroom activity drives the Not Dead Yet Generation™ nuts and we wish architects and designers would get off this craze. The narcissism and exhibitionism involved fits the needs of the few people who look like Bradley Cooper and Keira Knightley. That isn’t most of us. On the positive side, a roof top lounge and free internet add to the panache of the House Hotel. When booking, try to get a room above the first floor as lower floor accommodations can be noisy. In spite of its pretentious affectations, the House Hotel Galatasaray gets a NDY™ recommendation. Located in Sultanahmet, near every tourist attraction imaginable, the Amira does its best to insulate you from the frenzy of its location. 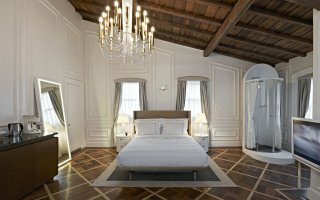 The 32 large, immaculate rooms, decorated in a rather bizarre modern take on Ottoman Empire style, surround you with all the necessary comforts. Renovated in 2010, the Amira aids your sleep with Tempur Pedic mattresses and double pane windows, which unfortunately do not block out the Muslim call to prayer at dawn. A helpful staff, scenic rooftop café, and complimentary afternoon tea all add to your stay. Other then the location, which the Not Dead Yet Generation™ finds too crowded with visitors, and the lack of decent storage in the bathrooms, the Amira is the epitome of what a boutique hotel should be. It gets the NDY™ recommendation. Other then the strange name, there is nothing bizarre about the luxury these condominium units provide. Less than a year old, the Istanbullux Suites (that name kills NDY™! ), were designed in a strikingly contemporary manner by Ahmet Alatas for the folks who own Hic, a well-known purveyor of modern furnishings. The seven suites are a humongous 860 square feet with a separate living room and bedroom, kitchenette, floor heating and almost every amenity imaginable. Be aware that your self-image will need to be healthy, as all the in room mirrors will point out every flaw. While the Istanbullux does not provide typical hotel service, it is smack dab in the heart of Galata, and everything is at your door step. If you can cop a room, the Istanbullux is an incredible accommodation and gets the NDY™ approval. Located in the land of Gucci-Pucci, the House Hotel Nisantasi is a brother to the NDY™ recommended House Hotel Galatasaray (Cukurcuma), but this is a “brother from another mother.” Fittingly, the place in Cukurcuma represents all the quirkiness of its location, while the hotel in Nisantasi is a chic reminder you are in the Beverly Hills of Istanbul. 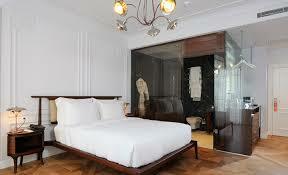 The 44 smartly fashioned rooms surround you with understated elegance and sophistication. Done up in restrained, muted earth tones by the prolific architectural and design firm Autoban, the House Nisantasi provides efficient service, perhaps lacking the warmth of the other NDY™ recommended hotels. This simply may be an attempt at not being intrusive. All your needs will be met, but you may not know the name of the person helping you. The rooms are a good size, ranging from 25 square meters for a standard (classic) to 41 square meters for a junior suite. This is not a flashy accommodation, with beige carpeting and sturdy, dark wood furnishings. Sadly, the one attempt to be trendy is a glass enclosed bathroom, something the Not Dead Yet Generation™ abhors. Blinds have been fitted so your exposure can be kept at a minimum. NDY™ must risk repetition and remind architects and designers that “see through” bathrooms are not really cool and most people rather have privacy. A small gym is on the premises to help keep you in shape. Nisantasi is a bit far from all the tourist sights, but it is a great neighborhood to explore on is own. 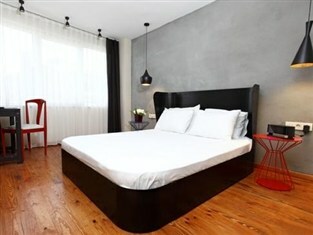 As a result, the House Hotel Nisantasi gets the NDY™ recommendation. Rated as a “best buy” by the Not Dead Yet Generation™, the Galateia Residence provides 13 handsome serviced apartments for the same price as a moderate hotel. Ranging from 90 to 180 square meters, each unit contains a kitchen facility, marble bathrooms, international cable television, and wi-fi. A concierge is on hand to provide assistance, but since you are in the hub of Galata, just step out the door and Istanbul is at your feet. Two bedroom apartments are available and the upper floor units have luxurious views. If you rather have breakfast in bed without the hassle of cooking, delivery is offered. Unlike most boutique hotels in the city, residents have the use of both a bathtub and shower, which comes in handy if you are traveling with young kids. While the furnishings are not “top of the line,” everything is modern and attractive. NDY™ does wish there was more storage in the bathrooms. The Galateia Residence gets the NDY™ recommendation. THE GALATEIA RESIDENCE IS NOW ONLY ACCEPTING RESERVATIONS FOR 30 DAYS OR LONGER!!!!!! This luxurious Ian Schrager designed hotel, in partnership with the Marriott Corporation, teeters on the edge for an NDY™ choice. The Edition’s northern location in Levant, the business hub of modern Istanbul, is artificially generic and provides little for the visitor who wants to experience Turkish culture. 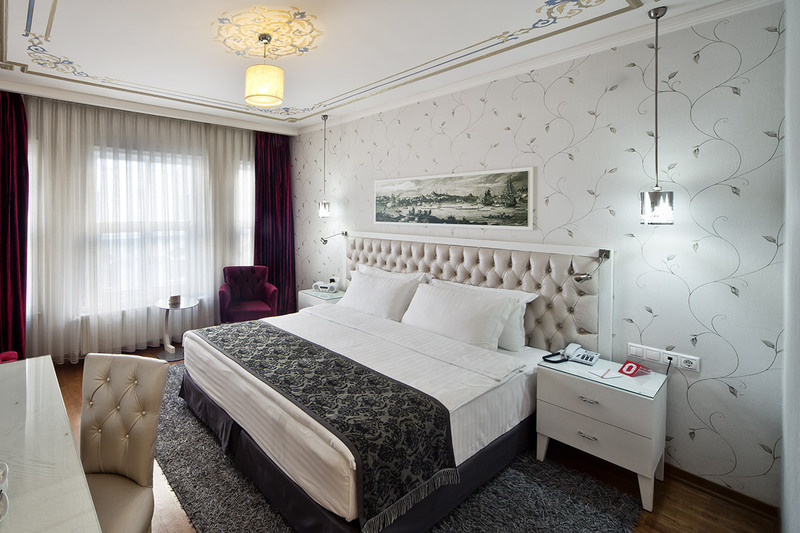 Yet, Taksim Square is 20 minutes away by the nearby Metro, and the Edition is a sumptuous accommodation. 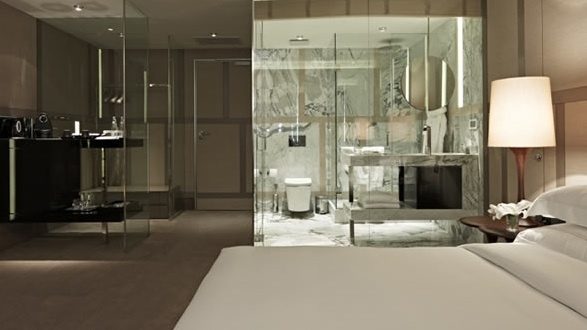 The 78 rooms are elegantly furnished with surprising understated luxury as the architecture and common areas echo Las Vegas and Donald Trump excess. Dark woods, clean lines, and earth tones, give the expansive rooms a masculine sophistication. Bathrooms provide a wonderful zen like experience, with both rain shower and soaking tub. 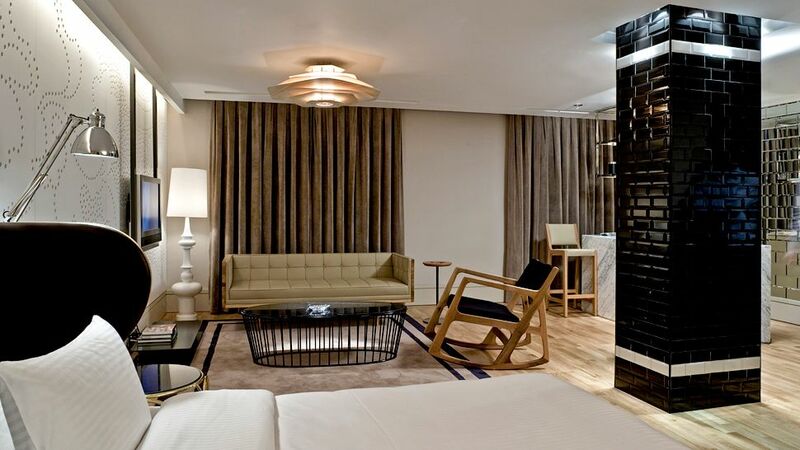 The Istanbul Edition spares nothing and the spa, pool, gym and nightclub are state of the art. Hunger pangs are satisfied by “Cipriani,” the exuberant restaurant chain with an over-priced, but excellent Italian menu. The Not Dead Yet Generation™ frowns upon the Edition’s sterile location, but the sensual accommodations earns it a NDY™ recommendation. What qualifies as a budget choice for NDY™, the new Sub Hotel provides small, but modern rooms, decorated in a trendy, minimalist manner. However, the good lighting, comfortable beds, and welcoming staff helps the Sub rise above the inexpensive hotel choices in Istanbul. Located in Karakoy, down the hill from Galata and close to the cruise ship port and the Galata Bridge, the immediate location may not be the most salubrious, but it is safe and close to everything. On the downside, bathrooms are tiny and street noise can be a problem. Yet, with an energetic café, copious breakfasts, family rooms with connecting doors, and free Wi-fi, the Sub Hotel is a Not Dead Yet Generation™ best buy and has our recommendation. George’s, a Wallpaper magazine design winner, is an architectural wonder and a gorgeous hotel top to bottom. NDY™ just wishes the hotel was managed with better organization and run with tighter controls. The owner Alex obviously loves his hotel, but he has a laissez-faire approach to the operation, as if it’s a hobby, rather than a business. It’s too bad, because with its prime Galata location, dream like roof top bar-restaurant, and trendy ambiance, George’s could be the top hotel in Istanbul. The staff is very kind and helpful, but sometimes do not have a clue and are hesitant communicators. Yet, in spite of all these negatives, NDY™ loves this hotel. Located on perhaps Istanbul’s most charming street, there is no signage to recognize. A large glass front exposes the red brick bar and nothing appears hotel like. The bar serves as reception and NDY™ found this charming, casual and very cool. A funky see through elevator takes you up to your very stylish room, decorated with red brick, white walls, and hardwood flooring. Black marble bathrooms are glass enclosed with privacy blinds providing dignity with the obsequious rain showers and vessel sinks adding panache. Most rooms have balconies with glorious Bosporus views. Noise can be a problem, as hard surfaces in the hallways and stairs resonate any sound. Try to get a room away from the staircase and avoid the fourth floor, which leads to the roof top bar and restaurant, if you can. George’s Hotel is wonderful in so many ways and management can correct its short-comings rather easily. The Not Dead Yet Generation™ endorses George’s Hotel with hope for the future. Eating is Istanbul is a sociological adventure. Great food is everywhere and can emerge from a stall, an exposed grill, or a state of the art stainless steel kitchen. The diner is only limited by their sense of adventure and their dietary limitations. Mikla, sitting on the very top of the Marmara Pera Hotel, could get by resting on the laurels of their glorious views and sophisticated cocktail bar. Yet, their cooking was the best “upscale” cuisine NDY tasted in Istanbul. Mehmet Gürs, the chef and owner in that order, takes his incongruous Turkish and Scandinavian heritage and produces exotic dishes that tantalize and beguile your palate. Crispy sardines lead the appetizer selection and Mikla’s fresh sardines will give you a completely different attitude toward sardines and are a completely different species than canned sardines. NDY’s pea soup was magical, having nothing in common with the pedestrian pea soup so popular in the 1950s and 1960s. Entrees included grilled Dentex, a prized fish from the Dorado family which was simply sublime, Lamb Shank with a tasty yogurt sauce, Lamb Entrecôte and Humus, and there was also a wonderful slow cooked Grouper Desserts represented the eclectic nature of Mikla and the rice pudding, chilled Mulberry soup, and cherry compote took us around the culinary world. 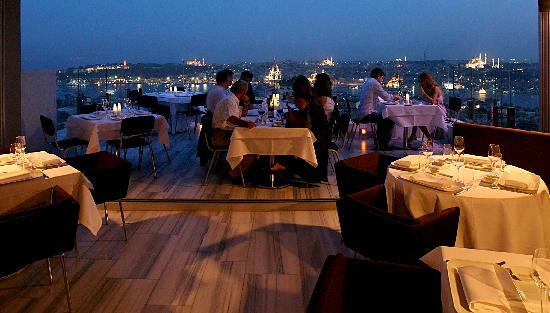 After dinner, take your drinks out to the patio and take in the Golden Horn, Sultanahmet and the Bosporus. The hilltop mosques are majestically illuminated, boats crisscross the two legendary waterways and thousands of lights twinkle with Ottoman intrigue and opulence. The view that reminds us how darn lucky we are to be alive. It is one of the wonders of the world and who’s counting. Mikla is a NDY recommendation. NDY hesitates to recommend restaurants endorsed by American celebrities, in this case the iconic, but too popular, Anthony Bourdain. However, after eating at Durumzade over and over, we must give it the NDY recommendation. 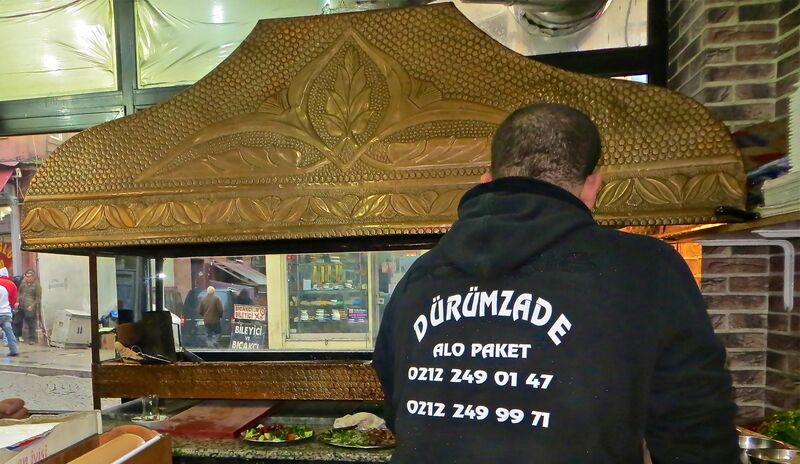 Durumzade is a simple storefront grill, open until the wee hours of the morning, frequented by Istanbul’s bar hopping hordes. They specialize in durum or Turkish wrap, a rudimentary kebab found in thousands of storefront joints all over the world. Yet, Durumzade is an aficionado of this omnipresent drinking companion. Durumzade’s flat bread, lavas in Turkish, is specially prepared with a spice rub, giving the sandwich a unique zest. You can have chicken, beef, or NDY’s favorite, liver kebabs. The grill maestro works before your eyes, deftly spinning the meat until it is ready for the flat bread, which the meat is wrapped in while it grills, sealing in the juices and the spice rub. At the optimum moment, the durum is lifted off the grill, complemented with onions, parsley and tomatoes, and placed back on the grill for a final spin until crisp. Finally comes the moment for “good eaten.” NDY says enjoy! Located in charming Cukurcuma, Münferit sits precariously on the corner of an Istanbul hill. 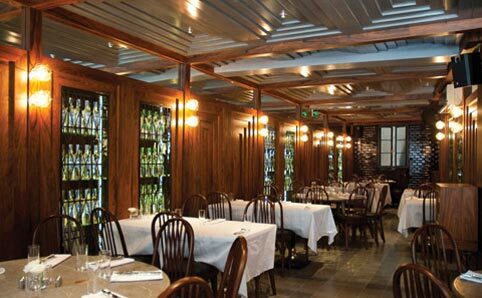 Designed by Istanbul’s design guru Autoban, the restaurant is masculine and clubby while maintaining a surprising intimacy. NDY was taken back by the ambiance because Münferit is described as a hip drinking mecca for Istanbul’s young and beautiful. This was in direct contrast to the sophisticated and elegant dining experience of NDY. Soft jazz filled the room and service was very polished. The menu is a modern twist on traditional meze’s, which are small plates Middle Eastern style. A traditional chicken mousse is made with duck to give it a richness and depth. Kure Kofte, the ubiquitous and delicious Turkish meatball, is spiced up at Münferit and served with scrambled eggs, a family recipe of the chef. NDY fell in love with the oven baked white cheese served with porcini mushrooms and truffle oil. Perhaps the party atmosphere explodes later in the evening and becomes a kid’s hangout, but NDY did not experience this atmosphere. Münferit receives the Not Dead Yet Generation recommendation. One of the most difficult Istanbul restaurants to get into, Lokanta Maya is worth the effort. New York trained chef, Didem Senol, reconstructs traditional Turkish cuisine using modern technique. The long cooked lamp and the crispy leek pie were “out of this world, and the caramelized sea bass was absolutely delicious. Located in funky and “not quite there yet” Karakoy, the fashionable interior foretells what this neighborhood will be in a few years. Lokanta Maya gets the NDY recommendation. 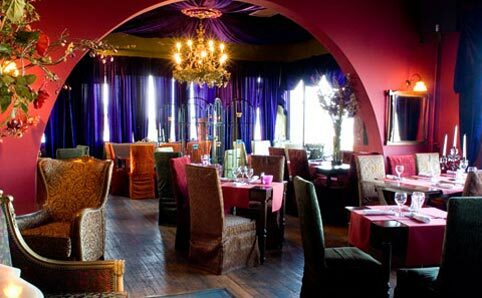 Located in the NDY recommended George’s Hotel, Le Fumoir does not always get the positive reviews it deserves. 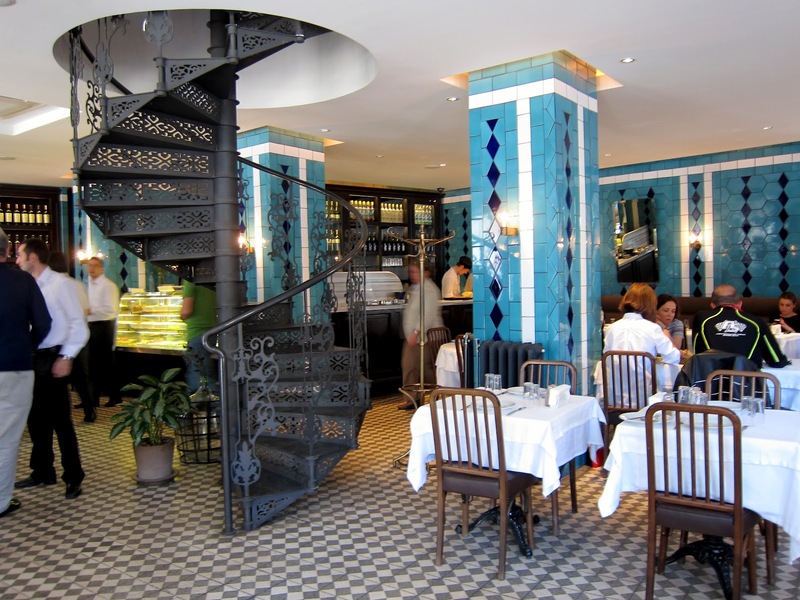 It is the best French restaurant in Istanbul. If you snag a table in the roof top dining room, a celestial ambiance will provide just the right complement to the elegant food. The classic French menu provides an iconic representation of the Gallic culinary hit parade; Foie Gras, Escargot, Onion Soup lead the appetizers and Boeuf Bourguignon, Blanquette de Veau, and Coq au vin stand up for the entrees. Desserts take the final bow with Crème Brûlée and Chocolate Mousse. General De Gaulle would be proud! Everything is prepared well and with the twinkling lights of the Istanbul hills as your backdrop, NDY knows you will have a memorable meal. Translated as ‘fifth floor,” 5.Kat is on the top floor of a nondescript building in Cihangir. It is one of those places that makes you hesitate before entering the building because “this can’t be it.” It is and don’t hesitate, because 5.Kat is a great experience. Known more for its cocktails then food, NDY thought the food good enough, and combined with the welcoming ambiance, fun atmosphere, and good vibe, felt 5.Kat should be a NDY recommendation. 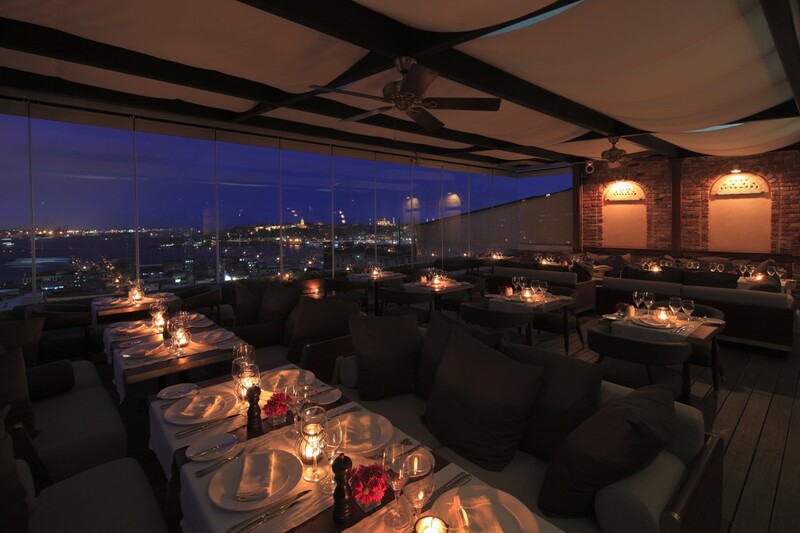 5.Kat’s main dining room sits below its rooftop bar and lounge, popular when weather allows. Depending on the time of day, 5.Kat takes on a different persona. During the day, it is a cool café with a small plate menu. In the evening, 5.Kat morphs into an elegant restaurant. Later at night, a DJ helps 5.Kat become a happening club with an eclectic crowd of neighborhood locals. It fits all moods and persuasions. The menu also tries to fit everyone and anyone with meat, fish, and pasta dishes. There will be something on their menu that “hits the spot.” This good time is enhanced by great views over the Bosporus and warm service. 5.Kat is a favorite of NDY and not to be missed. Every city, state, country and tribe has its own version of pizza and their version is always the best. Istanbul is no different. Their version is called pide and simply involves dough, cheese, toppings of your choice, perhaps even a fried egg à la Holstein and a hot oven. Pide can be flat or may be shaped like a New York calzone. Again, it depends on what you want. NDY chose a calzone shape with cheese, tomatoes, and ground beef. Pide is not a diet food and will not help maintain a svelte body. When NDY witnessed pide being drenched with melted butter as it emerged fresh out of the oven, those big waisted pants became a prized possession. 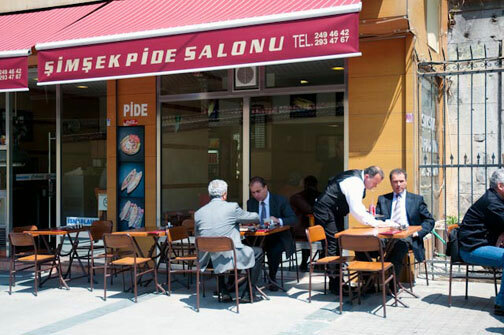 Şimşek Pide Salonu is considered the best of Istanbul’s pide joints and is conveniently located close to Taksim Square. Thus, Şimşek Pide Salonu gets the NDY recommendation. A Lokantasi is a Turkish version of Midwest supper club. It serves home cooked food in a pleasant, but not fancy setting. Prices must stay in line, or a Lokantasi is no longer a Lokantasi. Heading the list of these venerable restaurants is Karaköy Lokantası obviously located in that soon to be hip neighborhood of Karakoy, which for the time being still maintains its gritty authenticity. While the decor of KL is upscale chic, with white linen tablecloths and a clean, modern look, the menu is classically Turkish. Stuffed cabbage, grilled octopus and fried liver maintain the tradition of the Lokantasi, and KL uses only the freshest ingredients and the kitchen maintains the highest standards, making it stand out. The lunch menu is infinitely more modest than the one presented at dinner. The warmth, good service and excellent food makes Karaköy Lokantası a NDY recommendation.